This cat will always be in our care. 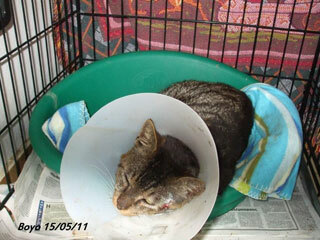 Emergency call out to a badly injured cat requiring hospitalisation. This service grew from the needs of visitors to the region who became distraught not knowing what to do when they discovered a cat in distress. We offer advice and information on what to do and where to go for help. 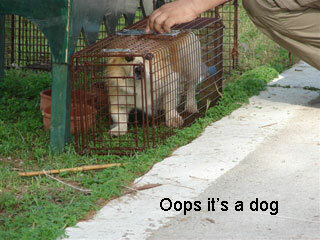 This is an expensive service as it invariably involves vet bills, travel costs, time and of course emotional stress. It never gets easier to cope with animal suffering and our volunteers have to deal with some of the most unimaginable situations. 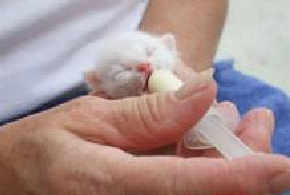 Neutering feral & stray cats allows them to live healthy and peaceful lives; it saves thousands of unwanted kittens from being cruelly disposed of and keeps the population under control in a humane way. Volunteers monitor the cats in a certain area and identify those to be neutered, specially trained 'cat trappers' arrive at dawn to catch the selected cats. 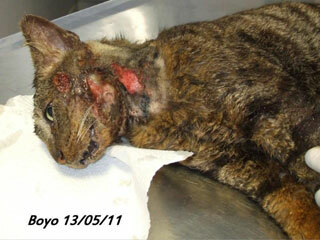 The cats are transported to the local vet who performs the operation using dissolvable stitches and dressings. 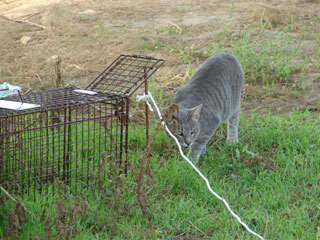 After a minimum 24hr recovery period, fit cats are wormed, de-fleaed and released. Some cats are treated with antibiotics and kept in recovery for longer periods depending on the individuals' state of health before release. All cats are released back to where they live and have an ear clip so that we can identify who has been neutered and who has not. Left: Sometimes we get it wrong! If you live nearby and are interested in becoming a fosterer, please do get in touch, we urgently need extra help. The biggest of all thanks goes to those who have the thankless and often heartbreaking task of caring for the cats and kittens. 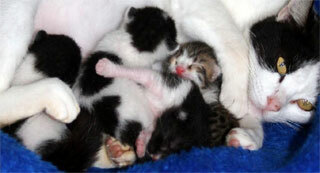 Cretan Cat-a-list operate using a very small network of volunteers who foster and care for the cats in their own homes. Volunteer fosterers often take on the youngest of kittens, bottle feeding, caring and socializing cats in a safe environment until they can be re-homed. 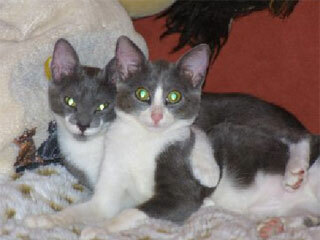 We cover food and vet expenses, but the cats owe their development and sometimes lives to their foster families. Bild settled in his new home in Switzerland. No comment for these two happy chaps! 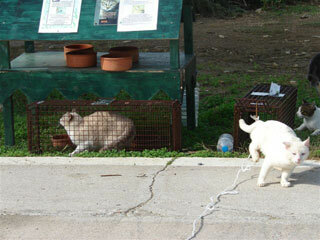 Ultimately our aim is to re-home all rescued cats in Crete. However, there are insufficient people or families coming forward to adopt locally. 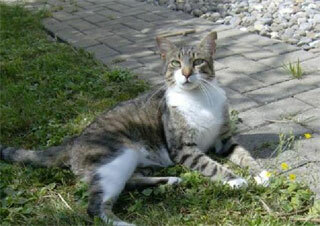 Therefore we work in partnership with a network reputable organisations throughout Europe who assist with re-homing. This is extremely costly, but provides the cats with stable and happy futures.